Product engineers are designing, developing, and taking products to market at a dizzying rate today, and that’s due in part to the advancements in software tools over the past few years. 3D CAD modeling tools especially have been beneficial to increasing the speed with which product engineers can generate models for tooling, prototyping, patenting, marketing, and manufacturing. Of course, product engineers can be more productive only when they have the right type of 3D CAD modeling software tools, and that’s why we’ve rounded up 50 of the top tools available today. Our picks are based on product engineer reviews, product engineering blogs and forums, and other publications from experts in the field. We also chose 3D CAD modeling software tools that have the most useful features. Some of our picks are best suited for visualization and quick ideation and rendering, while others are useful for freeform surface modeling. Our top 3D CAD modeling software tools also range in price and capability because our goal is to help you find exactly those tools that will fit your budget and your product engineering needs so you can work more efficiently and stay one step ahead of the competition. Please note, we have listed our top 50 3D CAD modeling software tools here, in no particular order. 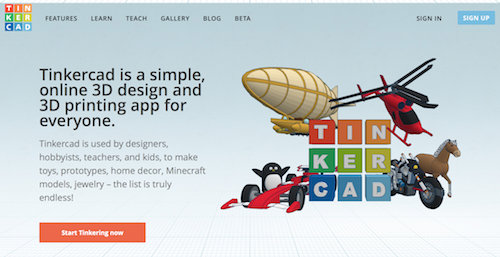 Tinkercad helps product engineers develop the best products for life. 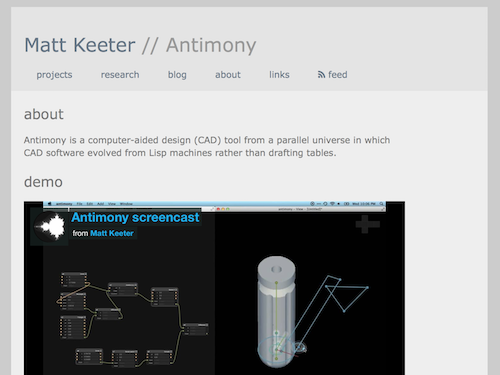 A browser-based 3D CAD modeling tool that is appropriate for nearly any skill level, Tinkercad suits product engineering students and seasoned professionals. 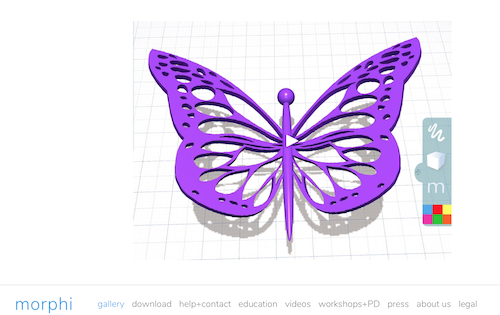 Many product engineers also turn to Tinkercad when they need a 3D printing solution. SOLIDWORKS 3D CAD software is available in three editions to ensure product engineers have the functionality needed to hasten the design process and be as productive as possible. All three editions have 3D design capabilities, but SOLIDWORKS Professional and SOLIDWORKS Premium are built for collaboration with powerful design and modeling features. Autodesk offers some of the most popular 3D design, engineering, and entertainment software and services available today. Their AutoCAD software is a powerful 3D CAD tool that enables product engineers to design every detail and work with TrustedDWG technology, collaborate across desktop, cloud, and mobile, and access the AutoCAD mobile app for working on the go. An open source software tool, FreeCAD is specifically designed for mechanical engineering and product design. FreeCAD is a parametric 3D CAD modeler appropriate for designing real-life objects of any size and includes tools similar to SOLIDWORKS. FreeCAD is open-source and multi-platform and reads and writes several open file formats including STEP, IGES, STL, SVG, DXF, LBJ, IFC, DAE, and others. 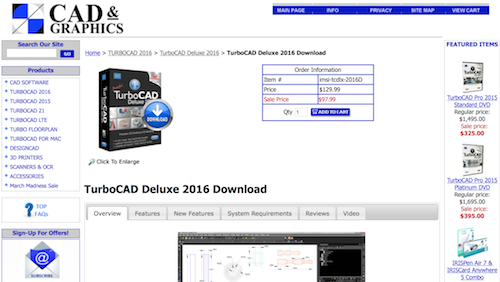 TurboCAD 2016 Deluxe is a complete, powerful 2D/3D CAD software tool with tools for drawing, modifying, dimensioning, and annotating. Product engineers appreciate the materials, lighting, and photorealistic rendering offered by TurboCAD 2016 Deluxe and the fact that they easily can share their work with AutoCAD and SketchUP or print in 3D. PTC brings technology solutions and leadership to the Internet of Things, and their 3D CAD tool is ideal for innovative product development. 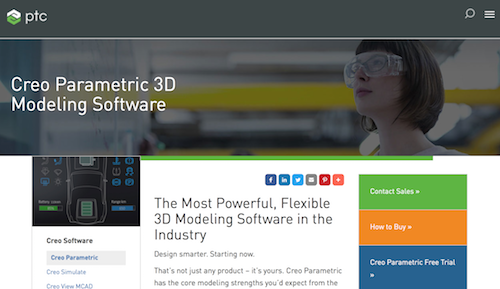 Creo Parametric 3D is a product engineering software tool that improves quality and speeds time-to-market because it enables users to efficiently build 3D virtual prototypes of products and automates the product development process. 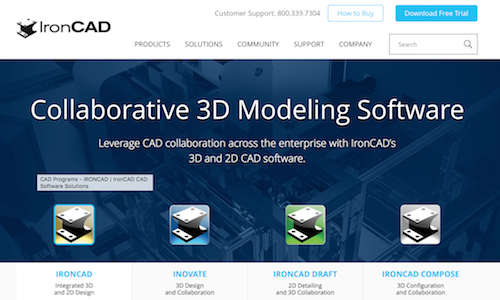 A leading provider of innovative design collaboration solutions, IronCAD delivers productivity and design freedom with their software tools. Their product engineering software solution aids in designing more quickly and easily because of its intuitive solution that empowers engineers to increase productivity and collaborate throughout the enterprise. 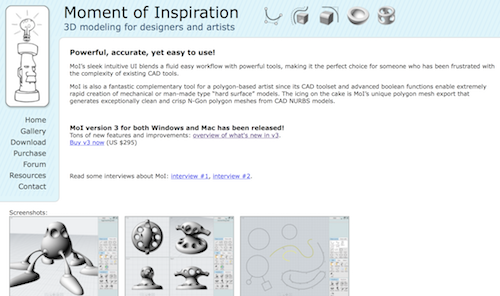 Moment of Inspiration is a 3D modeling tool for designers, artists, and engineers that features an intuitive user interface that blends a fluid workflow with powerful tools. MoI is less complex than other CAD tools yet includes a CAD toolset and advanced boolean functions for rapid creation of mechanical or man-made hard surface models. 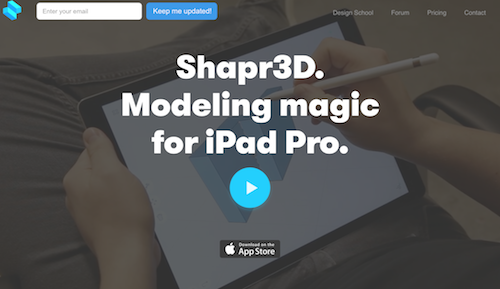 For product engineers who enjoy the freedom of working on a tablet, Shapr3D is an ideal solution for use on an iPad Pro. The first professional 3D CAD for iPad Pro, Shapr3D is easy to learn and use yet powerful enough for product engineers to draw shapes and transform them using just their tablet, and Apple Pencil, and the app. 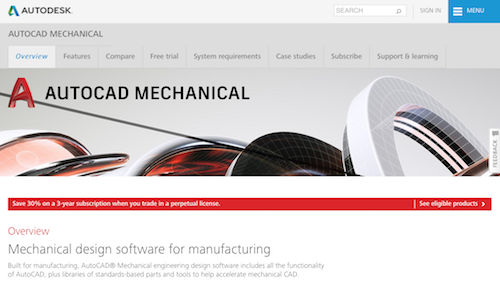 A cloud-powered 3D CAD software tool for product engineers, Fusion 360 is a 3D CAD, CAM, and CAE tool in a league of its own. 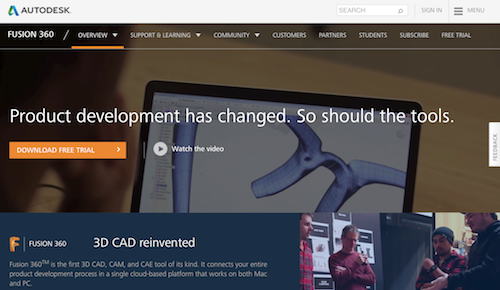 Fusion 360 connects the entire product development process in a single cloud-based platform that works on Macs and PCs. 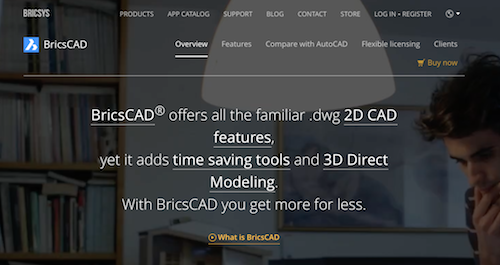 BricsCAD is a reliable, affordable 3D CAD software tool for designers and engineers. This product engineering tool features familiar .dwg CAD features and saves time with powerful tools and 3D direct modeling features. 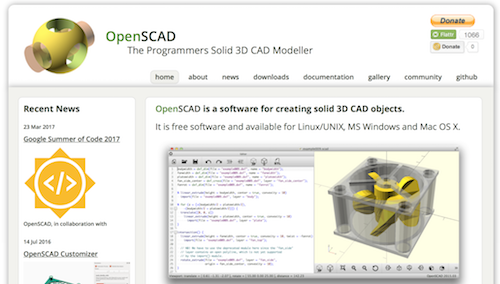 A 3D CAD software tool for creating solid 3D CAD models, OpenSCAD is free and available for Linux/UNIX, Windows, and Mac OS X users. OpenSCAD focuses on CAD for creating 3D models and gives product engineers control over the modeling process because the tool is similar to a 3D compiler that reads script files and renders 3D models from files rather than being an interactive modeler. 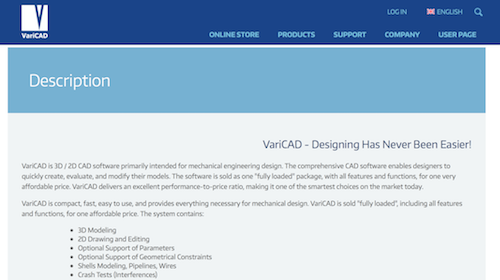 VariCAD offers 3D/2D CAD software for product engineers. With a comprehensive set of features and functions, VariCAD is fast and easy to use for quickly creating, evaluating, and modifying 3D models. 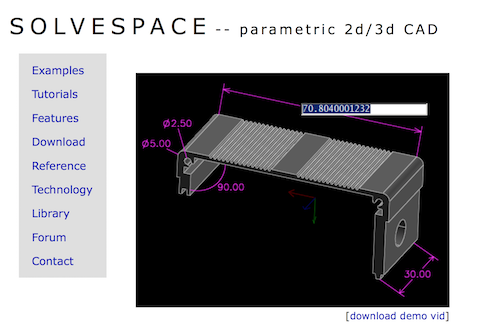 A parametric 3D CAD program, SolveSpace is appropriate for product engineers who need to model 3D parts, print 3D parts, prepare CAM data, design mechanisms, and use plane and solid geometry. SolveSpace includes features for sketching sections, building solid models, analyzing models, and much more. Build solid models with extruded or lathed sketch, Boolean operations, parametric step and repeat, etc. A free, open source 3D modeling tool, Blender is a complete 3D creation suite that supports the entire 3D pipeline from modeling and rigging to simulation and rendering to production. Product engineers choose Blender when they are looking for a tool for visualization and quick ideation and rendering. 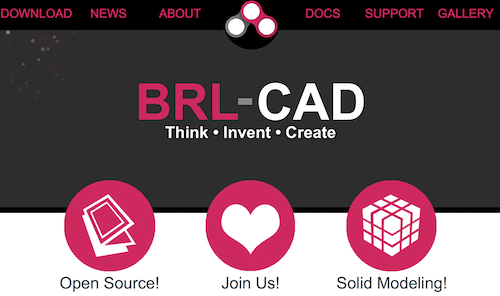 BRL-CAD is a powerful, cross-platform, open source solid modeling system. This 3D CAD modeling software tool includes interactive geometry editing, high-performance ray-tracing for rendering and geometric analysis, and much more for product engineers. 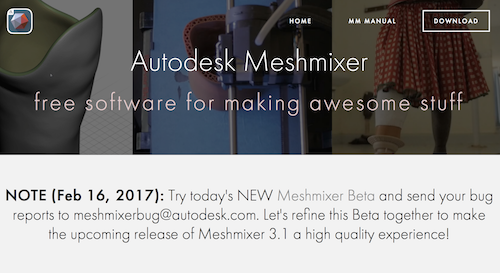 Meshmixer is Autodesk’s state-of-the-art 3D software tool for working with triangle meshes. Product engineers choose Meshmixer when they want to design an object that fits something else or when they need a solution that offers precise 3D positioning with pivots. 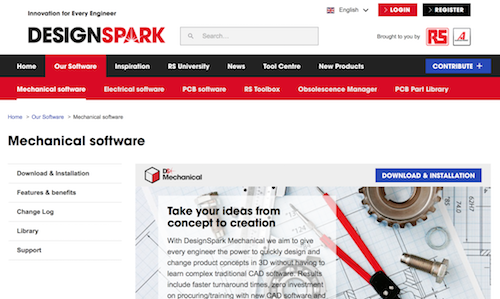 DesignSpark is an engineer and maker community offering free software, online resources, and design support. DesignSpark Mechanical is their 3D CAD modeling software that enables product engineers to design and make in 3D in innovative ways and to rapidly prototype and reverse engineer objects quickly and easily. Inventor is 3D CAD software for product development that offers professional-grade 3D mechanical design, documentation, and product simulation tools. Inventor allows product engineers to work with data from any 3D CAD system and maintain an associative link. 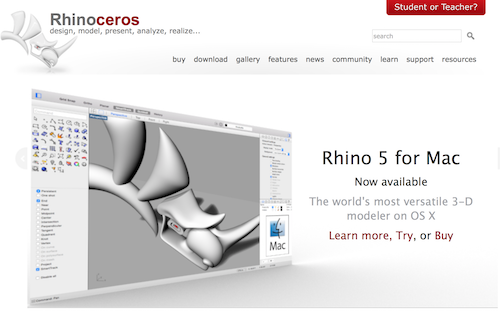 Rhino 5, for Windows and Mac, helps product engineers create, edit, analyze, document, render, animate, and translate NURBS curves, surfaces, and solids, point clouds, and polygon meshes. One of the most versatile 3D modelers available, Rhino virtually eliminates limits on complexity, degree, and size. A 3D CAD modeling software powered by Lumiscaphe, Patchwork 3D transforms CAD data into photorealistic 3D models for industrial use. 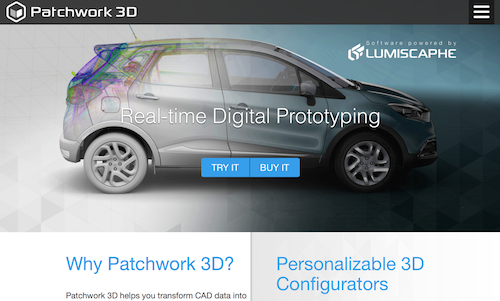 Product engineers use Patchwork 3D to use real-time rendering to shorten design cycles. The first and only full-cloud 3D CAD system that allows for collaboration with team members using any web browser, phone, or tablet, Onshape for Professional Design Teams makes it possible to use a 3D CAD modeling software tool anywhere, any time. 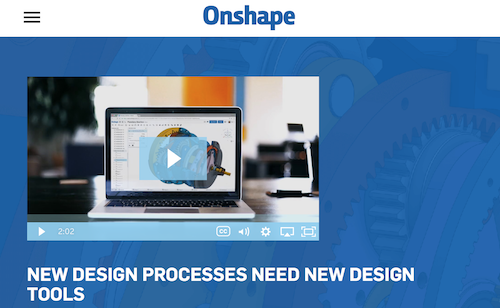 Onshape is designed specifically for today’s agile design teams. 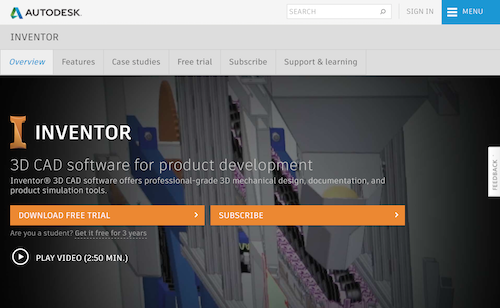 KeyCreator Direct CAD is a 3D modeling software tool for engineers, designers, manufacturers, and analysts seeking a fast, flexible solution for creating, changing, analyzing, or communicating a mechanical part of design. With KeyCreator Direct CAD, users quickly produce 3D design concepts without any constraints. A portfolio of affordable software tools for the product development process, Solid Edge is easy to use and aids product engineers in such stages of the process as 3D design, simulation, and manufacturing. 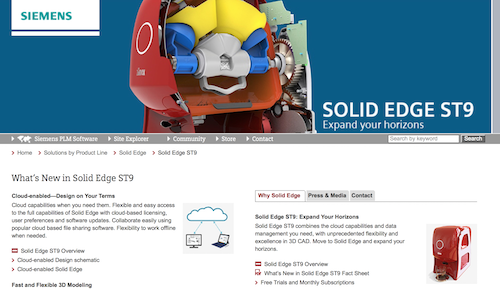 Solid Edge ST9 delivers unparalleled flexibility and excellence in a 3D CAD tool with the cloud capabilities modern product engineers need. 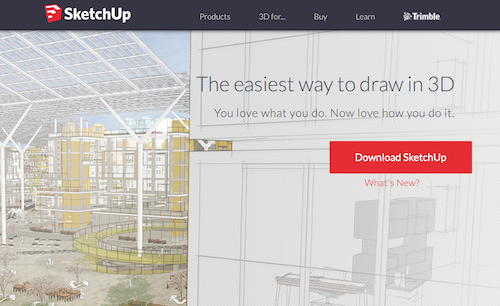 Product engineers looking for a 3D drawing tool that is ideal for quick ideation often opt for SketchUp. Intuitive and powerful, this 3D software modeling tool also allows for quick iteration and aids users in creating compelling visualizations and generating presentation documents. AutoCAD Mechanical is a product engineering design software that incorporates the functionality of AutoCAD with libraries of standards-based parts and tools to drive mechanical CAD. With more than 700,00 standard parts and international drafting standards support, AutoCAD Mechanical is a comprehensive 3D CAD modeling software tool. 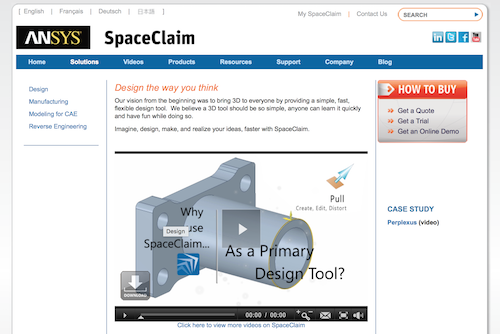 Billed as “the world’s fastest and most innovative 3D modeling software,” SpaceClaim helps product engineers design in the way that they think. 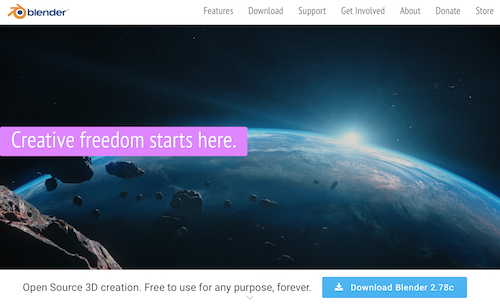 SpaceClaim is a fast, flexible 3D tool that makes it easier for users to get to market faster. 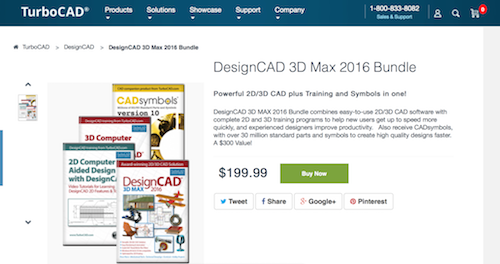 DesignCAD 3D Max is a versatile 3D CAD modeling software tool that is ideal for beginners to professionals. An award-winning software, DesignCAD 3D Max also is a 2D CAD solution that has the power needed for creating high-quality designs, simple renders, and animations. 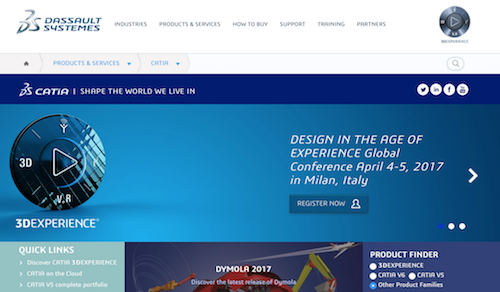 From Dassault Systèmes, the 3DEXPERIENCE company, CATIA 3DEXPERIENCE is a leading solution for product design and experience. Product engineers choose this 3D CAD software tool to develop products people around the world use every day. An intuitive 3D CAD modeling software, 3DCrafter is a tool that product engineers use for real-time modeling and animating. Design and create more quickly with the intuitive drag-and-drop approach to 3D modeling with 3DCrafter. 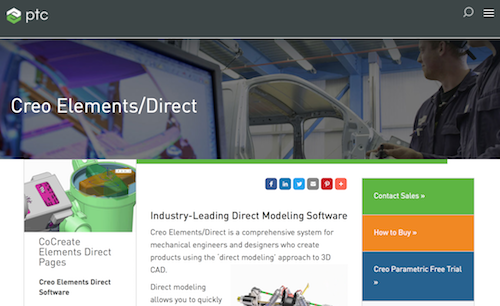 Creo Elements/Direct is a 3D CAD modeling software tool for product engineers who prefer to take a direct modeling approach. With this tool, you quickly and easily can create designs or radically repurpose existing designs even if you are unaware of how they were made. PTC offers three Creo Elements/Direct options: Creo Elements/Direct Modeling, Creo Elements/Direct Drafting, and Creo Elements/Direct Model Manager. An open source, extensible system for processing and editing unstructured 3D triangular meshes, MeshLab is a 3D modeling tool that aids in the processing of typical, unstructured models in 3D scanning and in providing a set of tools for editing, cleaning, healing, inspecting, rendering, and converting these sorts of meshes. 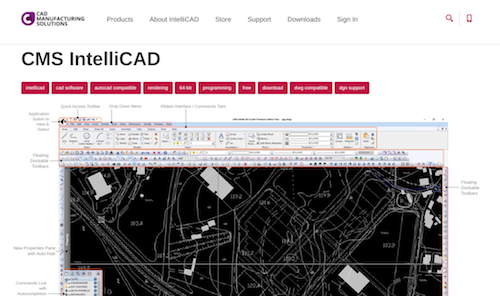 A 2D/3D DWG CAD software tool, CMS IntelliCAD is an affordable alternative to AutoCAD and MicroStation. Fast, efficient, powerful, and versatile, CMS IntelliCAD uses advanced technology to integrate the Microsoft Windows interface with a powerful CAD engine. An all-in-one 3D CAD/CAM solution, ZW3D is an affordable 3D CAD/CAM solution appropriate for the complete product development process. ZW3D is a tool of choice for product engineers because it features the fastest kernel for solid-surface hybrid modeling. 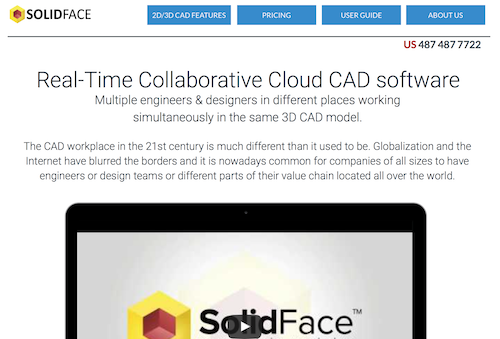 A 2D/3D parametric historic constructive CAD modeler, SolidFace is a real-time collaborative cloud CAD solution. Product engineers, designers, and their teams collaborate and work simultaneously in the same 3D CAD model with SolidFace. 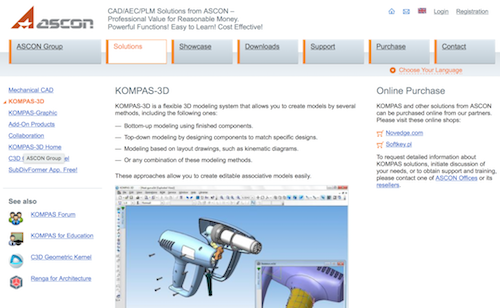 A flexible 3D CAD modeling software tool, KOMPAS-3D makes it possible for product engineers to create models using the method that best fits their preferences and their needs. The optional approaches to modeling accommodated by KOMPAS-3D allow users to create editable associative models quickly and easily. 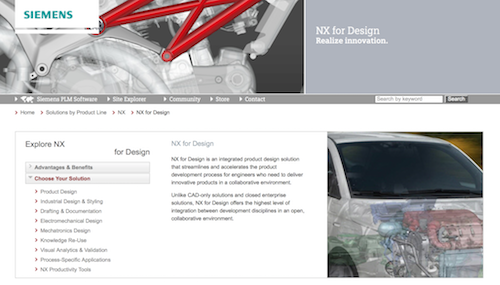 NX for Product Design is a leading-edge 3D CAD modeling software tool that is a powerful solution intended to help product engineers, designers, and teams design more efficiently and cost-effectively. NX provides comprehensive modeling to ensure users utilize productive modeling approaches interchangeably. 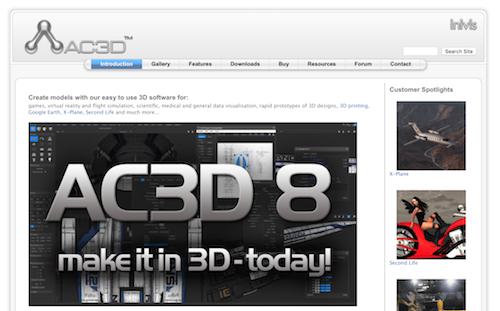 AC3D is a 3D modeling software tool for rapid prototypes of 3D designs, 3D printing, and more. 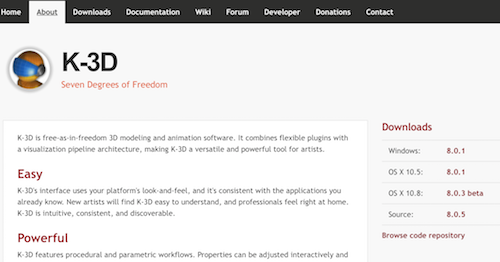 Powerful and easy to use, AC3D is available for WINDOWS, MAC, and Linux. 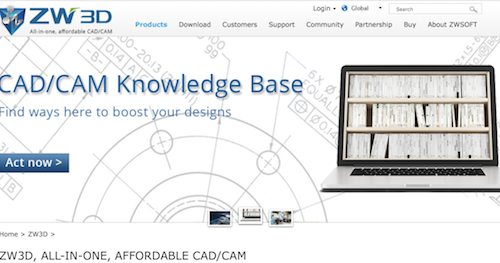 A 3D CAD software tool, K-3D is appropriate for 3D modeling and animation. 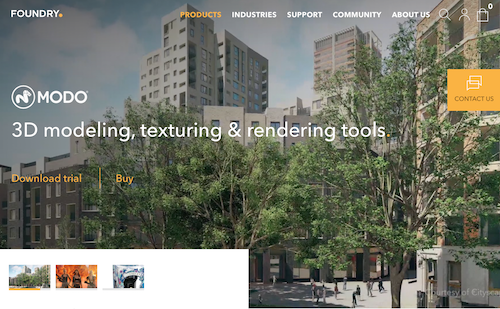 Product engineers choose K-3D when they need a tool that allows for more artistic work because it combines flexible plugins with a visualization pipeline architecture. 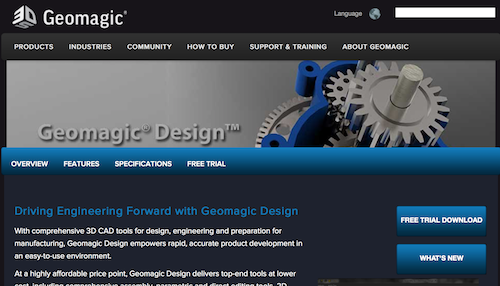 A leading provider of 3D software for creating digital models of physical objects for reverse engineering, product design, inspection, and analysis, Geomagic offers their 3D CAD software tool, Geomagic Design. Geomagic Design enables users to rapidly and accurately move through the product development process with its easy to use environment. 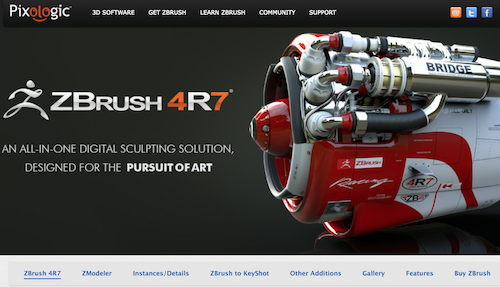 Pixologic presents ZBrush 4R7, an all-in-one digital sculpting solution. ZBrush includes ArrayMesh, NanoMesh, and ZModeler with QMesh to aid the creative process from initially creating to finally refining the artwork of your product. A streamlined set of tools and intuitive 2D/3D modeling capabilities make Vectorworks Fundamentals a top software tool for product engineers. 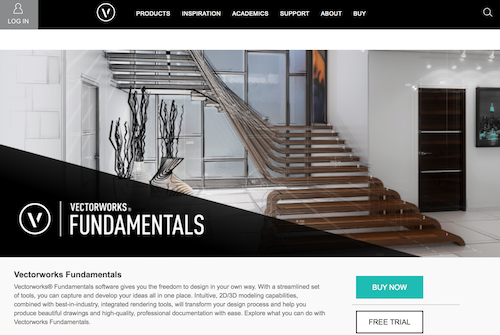 Vectorworks Fundamentals gives users the freedom to design in your own way and to capture and develop your ideas all in one place. 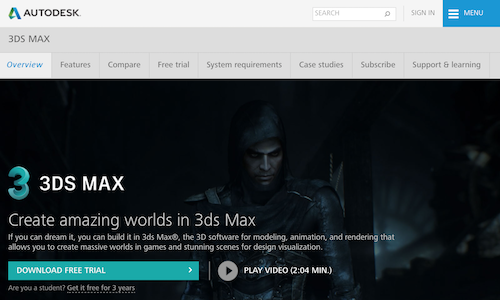 Autodesk 3DS Max is a powerful 3D modeling software tool for product engineers. Users have the power to model any person, place, or thing they can imagine, thanks to 3DS Max’s tools for shaping and defining. Foundry develops innovative software solutions for the design, visualization, and entertainment industries. Modo contains a 3D modeling, texturing, and rendering tool set for product engineers to explore and develop ideas quickly, easily, and creatively. Modo especially is a useful 3D modeling tool for visualization and quick ideation and rendering. An engineer and designer software tool, Autodesk Alias serves as an ideal industrial surface and automotive design tool. Alias Design, SpeedForm, AutoStudio, Concept, and Surface comprise Autodesk Alias and support concept communication, design modeling, technical surfacing, reverse engineering, real-time design visualization, and engineering development collaboration. 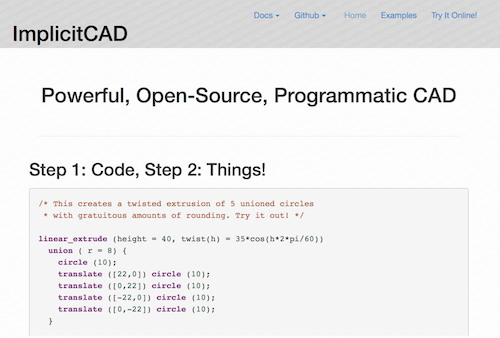 A powerful, open-source, programmatic CAD, ImplicitCAD enables engineers to use programming language to create objects. For some complex objects and products, using programming is the most efficient way to avoid design mistakes by using math and computer science to create better products with 3D printers. A commercial 3D modeling and animation program, Strata Design 3D is a powerful, yet affordable software tool for designers and engineers. Strata offers Design 3D CX 8.0 for professional 3D modeling and animation on Mac OS. Morphi is a 3D design app for 3D printing, augmented reality, virtual reality, stop-motion animation, visualization, and more for crating inventions, prototypes, and products. Morphi gives product engineers and their teams the ability to create 3D models from anywhere using touch and 3D shapes, text, hand drawing, images, and streamlined 3D modeling tools.